In general, people are friendly and amicable. Most neighbors are open to having a community. My only complaints are how afraid some people are of dogs, that chicken bones are being left around the premises, which is dangerous, and how the roads are cared for during the snow. Emma, thank you for sharing your thoughts with us, We would like the opportunity to discuss the chicken bones, if you would please reach out to us at the leasing office, that would be greatly appreciated. As well the roads in regards to snow removal, we are not able to plow the City of Aurora streets but we want to make sure that we address the parking lots areas that we are allowed to shovel. Please give us a call. Thank you so much and have a great day! Thank you for sharing your thoughts with us Venkatesan! We are glad to hear that you are enjoying your home and the location. Thank you again and have a great day! Tsengel, thank you for your thoughts on your experience at The Savoy. We are glad to hear that you are finding your experience enjoyable. Thank you again for your thoughts and have a great day! My move in was not ideal and they have been taking the steps to make things right. I wish there was just a bit more clear communication. They are super friendly and seem willing to help. Good location, clean, nice little gym, nice pool and hot tub, grilling area, quait neighborhood, close to Dayton train station, Walmart, major highway, good management. Jaber, thank you for your five star review! We are so grateful to hear that you are enjoying your home and the location here at The Savoy! Have a great day! Hi! Thank you for taking the time to share your thoughts! Glad to hear that you are enjoying the location and the ease of parking. Let us know if you need anything, we are here to help! Have a great day! About 5 months into my lease and I am still very happy that I chose to live here. We’ve made it through my first winter here and our grounds and maintenance team were great! They were out cleaning side walks, scraping and making paths both for walking and driving. I can’t wait to see how beautiful spring looks here! Thank you Teeal for your great review! We cannot wait for spring as well so that we have full trees, beautiful flowers, and pools! Thank you again for sharing your thoughts, we truly appreciate it! This complex has an awesome family vibe and welcoming staff culture. The location is the second best thing about this apartment complex (check out maps). But the best is the action that these staffers/maintenance put into this complex. Ive had plenty of problems since moving in in regards to appliances breaking but when a work order is placed, consider it taken care of. The maintenance is boss and shout out the front office team for being some of the most friendly people ive met in colorado. Ivan, what a kind review! 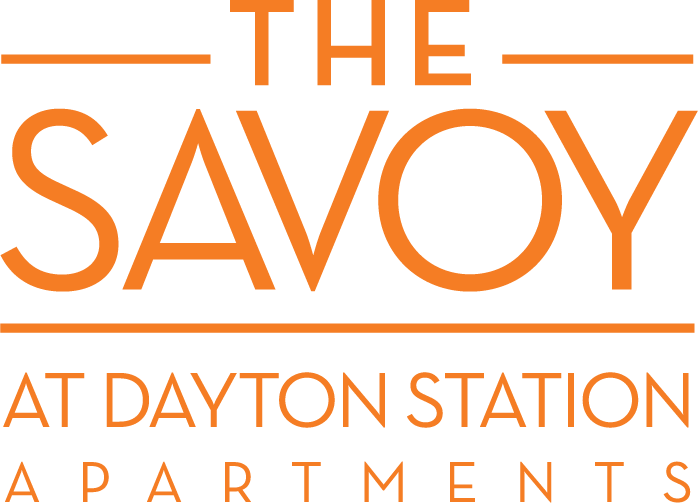 We are pleased to hear that you are enjoying your home here at The Savoy and the staff! Thank you again for your great review! Very good amenities. Wonderful office staff. Top notch maintenance team. Love living at the Savoy. I've enjoyed my stay and plan on doing another year. Hello and thank you for sharing your great experience with us! We are grateful to hear that the staff has been "wonderful and top notch!" Let us know if you need anything, we are here to help. Have a great day! Great community. Location is perfect! Close to the light rail, shopping, entertainment, and very quick access to I25 and downtown. The staff is respectful and responsive and maintenance is very fast! Harold, thank you for taking the time to share your thoughts with us. We are grateful to hear that you are enjoying your home here at The Savoy! Have a wonderful day! I’ve had an amazing experience at the Savoy. The new apartments are so well designed and spacious. The kitchen and appliances are all stainless steel. All of our neighbors are great. And rent is very competitive for what you get. Nothing but good things to say! Oh goodness John! We are over the moon to hear about your "amazing experience!" The apartments are designed very well and it is nice to hear your neighbors are great. Thank you again for your kind words! We love savoy! The staff is extremely friendly and helpful and are always accommodating. Definitely a nice little family friendly community! Hello Devon, we are thrilled that you "love" Savoy! Thank you for the 5 star review, it made our day today! Let us know if you need anything, we are here to help! Have a wonderful day. We are so glad that you feel at home here at The Savoy, Saleh! We enjoy having you as our neighbors and let us know if there is anything you need. Have a great day! Hello Andrea, thank you for sharing your thoughts with us. We sent out a reminder about the pet pick up responsibilities of pet owners, can you please contact the leasing office to discuss in further detail, we are hoping to address this concern quickly. Thank you again for your kind words! Great community, staff is always helpful and friendly. Any concerns or questions they respond quickly. It's really cool and great how they have little events for everyone too. Thank you all very much! Eileen, it so great to hear that you enjoy our events! We did a pop-up event today, we hope that you can make it by, we would love to see you! Let us know if you need anything, we are here to help. Have a great day! The staff are great, maintenance rocks, my neighbors are kind and quiet, and the location is great! I think I really lucked out finding this place! Mohammed, we lucked out on having you as one of our neighbors! Thank you for your great review and glad to hear you are enjoying your home here at The Savoy! Have a great day! This is the best place, in my opinion, to live in this area. The office staffs are professional, wonderful, always happy to help. The manger is always willing to work things out. The location is a big plus. The only downside is the thin walls, it more depends on who your neighbors are. Overall, it is a great place to live. Sultan, thank you for sharing your experience with us! We appreciate your kind words! The location is amazing, close to shopping, transportation, and much more! Thank you again and Have a great day! Lived here over 3 years and LOVE it! Close to light rail, dog park and Kennedy Golf! Super clean community and great amenities! Cant ask for much else! Oh goodness Jayson, what a great experience that you have had living here! We are thrilled to hear that you "LOVE it!" Thank you again and have a great day! Quiet and clean community. I like my apartment because of its open floor plan, extra storage and especially the fireplace. I love the location because I get to the light rail, walking trail and easy access to shopping. Jennifer, it is great to hear that you are enjoying the access to the walking trails nearby and shopping! That fireplace is quite nice to sit by during the cold weather months. Thank you for the kind review. Have a great day! Nathaniel, your kind words about your experience has made our day! Glad to hear you "love living here." Thank you again! Great place to live! The staff is very nice and welcoming. The maintenance staff are on top of things as soon as you send in a request. An overall great experience! Woohoo! We all just high fived in celebration of your 5 star review! We look forward to continuing to providing you with 5 star service so please let us know if there's ever anything that we can do for you. The location and amenities are amazing! The modern kitchen, private balcony, and private bathrooms are the best. I really enjoying living here. It's a great feeling to know that we've earned 5 stars from you. We'll make sure that we continue to provide 5 star service. Thank you! I love how pet friendly the community is. I also enjoy how close the apartments are the the lightrail. I do not own a car but these apartments are in the perfect spot for a commuter. We love our pets here at the Savoy and we are so glad that you have enjoyed living in our community. We look forward to earning that last half star from you! I haven't lived here very long, but it's been good so far. There was an issue with my mailbox key but that has been remedied. The people I've met in the community have been friendly. Thank you so much for your kind review Teresa. We are so glad that you have met some friendly faces and we look forward to earning a 5 star review from you in the future. Please let us know if there's ever anything we can do for you!